Ian Evans started drumming around the time that most people started walking. He’s well versed in a variety of musical styles but specialises in jazz and funk. He works as a self-employed musician, and teacher. This #Jazzday we caught up with Ian and discussed the life of a musician. There’s no such thing as a typical day for a musician! That said, usually, I’ll be doing some form of teaching. 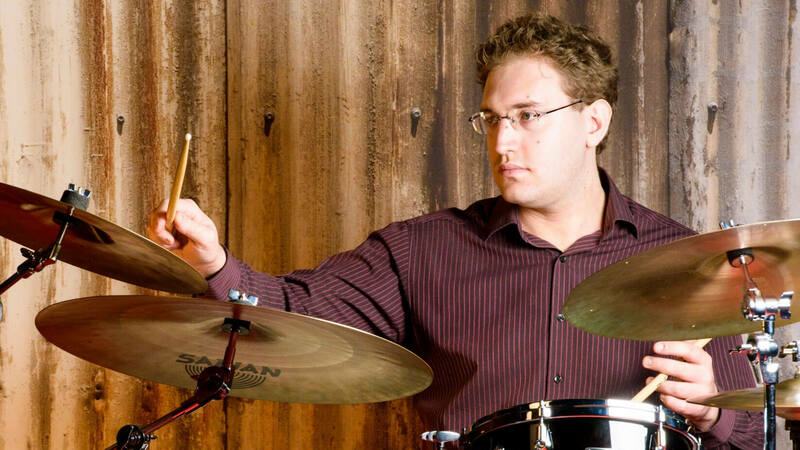 Either individual lessons in school or privately, or leading a whole-class percussion workshop. Then it’ll be fitting in practice and hustling for more gigs. I spend quite a lot of time travelling both for teaching and gigs too. International jazz day will be a typical work day for me with ten pupils in a school. One of them has really been getting into jazz brush playing recently, so I think we’ll cover some more of that! I’ll be meeting some new musos on 2nd May for a rehearsal than a gig on the 6th. I like to watch motorsport and unwind with some computer games. I also enjoy going out to eat. To be better at networking than I am. To invest time honing your craft. To develop a thick skin! Be versatile; don’t shoe-horn yourself into a particular genre and refuse to play any other style of music. Be friendly and helpful as much as possible, but don’t be afraid to stick up for yourself if you feel something isn’t right. Do as much of your tax prep as you can as you go! 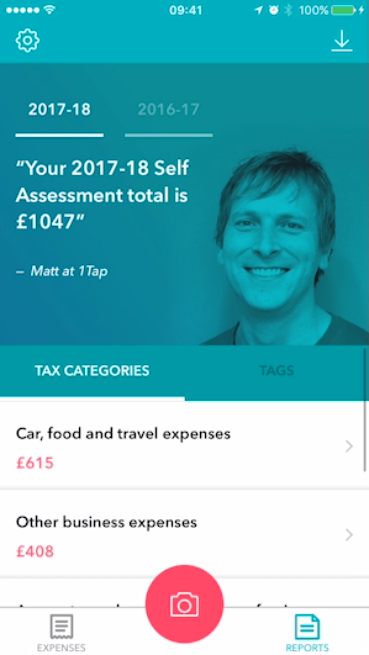 Gig dates, fees and mileages are all recorded in a database app, and I make sure they are entered when I park on the drive after getting home. 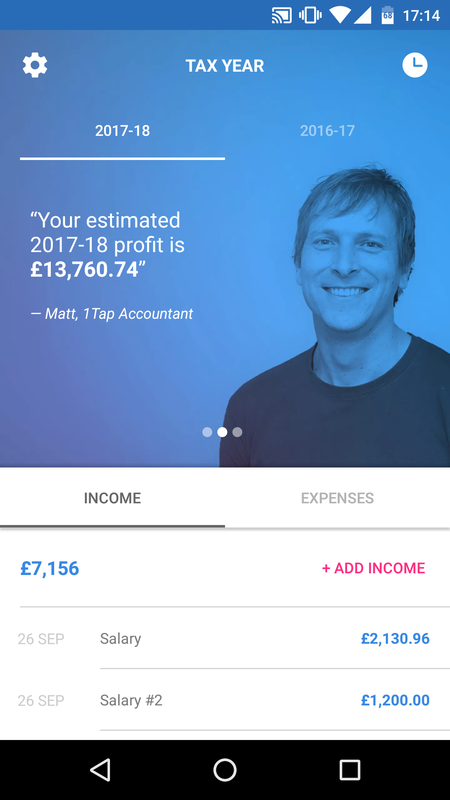 Receipts and invoices for purchases go into 1tap. Then, come return time, it’s simply a case of dropping the data into a spreadsheet to come up with totals for income and expenses. Running costs for instruments. For me, that’s drum heads, sticks, cymbals and so on. I also need my own transport so the cost of my vehicle and running costs, but I don’t think that’s particularly limited to musicians. Oddest claim might be for several packs of zip-ties that I used to loom the wiring on my electric drum kit, or a set of blankets to stop the inside of my car being damaged when transporting surdo drums for my whole class percussion lessons. Ian Evans is a professional drummer and percussionist who specialises in jazz and funk but will turn his sticks to most styles of music. Coming from a musical family, he started playing at age 3 and played his first gig a month after his 4th birthday. After taking his musical education to degree level, he has tried to have as diverse a playing career as possible. Jazz highlights include a stint with NYJO and residencies with his own jazz outfit. He is proud to be a Roland Teacher Ambassador and JHS KeyPlayer.